Local Eats Report Card: Whiskey, Tyler’s, Amelia’s – Voila! We just moved to Durham, North Carolina and have already begun scouting out local restaurants, pubs, cafe’s and bars. Like this move, it’s time for something new. Instead of only posting recipes in this space, I’m going to toss in local food reviews as well, called the Local Eats Report Card. I don’t like long, drawn out restaurant reviews. Instead, the reviews will be no longer than a Tweet. So, here we go! 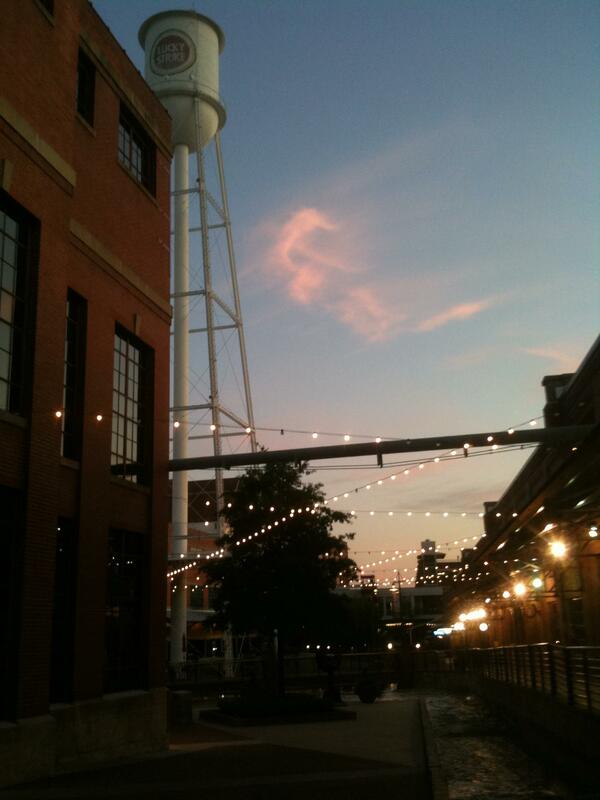 American Tobacco District. Near Tyler's. Photo by James. Next Post Local Veggie Omelette Scramble Surprise (Video)! Shayne – Thanks, we’re loving it so far and look forward to exploring more! Yeah! I love wordpress…super easy to use! looking forward to your whiskey/music blog!